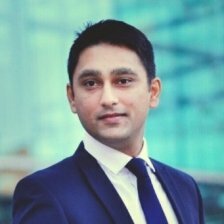 Maninder is an Associate Director and an established Information Security Project Manager in Deloitte’s Cyber Risk Services practice in London. He has more than thirteen years of IT project management and implementation experience, the majority of which has been involved in enterprise wide solutions. For the last few years Maninder’s focus has been towards delivering Cyber and Digital Identity projects involving architecting, implementing and managing large scale deliveries. Throughout his projects, Maninder has managed and technically led large teams. Maninder has enhanced his security team’s accomplishments and competence by planning delivery of solutions; solving technical and procedural problems for less experienced team members; improving business processes and mentoring team members. He has determined security requirements by evaluating business strategies; researching information security standards; conducting system security and vulnerability analyses and risk assessments; studying architecture/platform; identifying integration issues and preparing cost estimates.